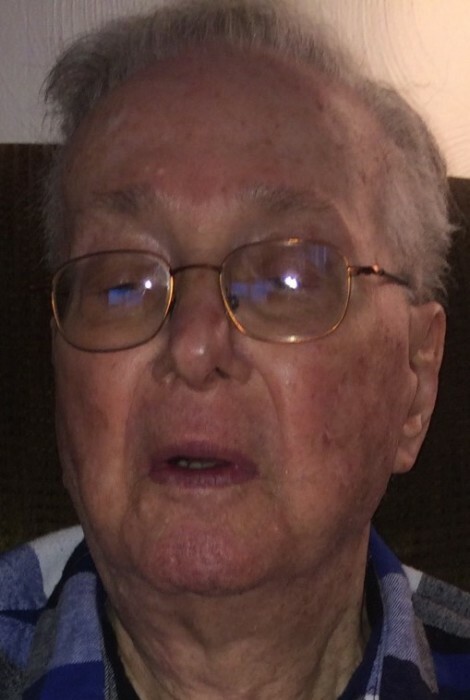 Obituary for Paul Hrivnak | Frank F. Gigler Funeral Home, Inc.
Paul Hrivnak, 98, of Lower Burrell, died Sunday, March 17, 2019 in Allegheny Valley Hospital. He was born January 9, 1921 in Braeburn, son of the late Joseph and Mary (Debnar) Hrivnak. Paul was a millwright for Braeburn Alloy Steel for over 40 years. He enjoyed gardening, watching wrestling and listening to polka music. He was a member of Braeburn United Methodist Church, American Legion Post #868 and VFW Post #92, both in Lower Burrell and a former fireman for Braeview Volunteer Fire Department. As an Army veteran, Paul was proud to have served his country in Ardennes in Belgium, Germany and Central Europe. He was preceded in death by his wives, Bertha “Dolly” Hrivnak and Helen Hrivnak, daughter Paula Lou Hrivnak, and he was the last surviving sibling of four brothers and five sisters. Leaving behind to cherish his memory are his daughters, Janet (Al) Jones of Flinton, PA and Susan (Joseph) Kunc Sr. of Creighton; son, Dennis (Mary Anne) Hrivnak of Vandergrift; stepfather of Vondell (Bob) Netoskie of Arizona; Alan Blake of Lower Burrell; Rana (Dennis) Chronick of New Kensington and Rodney Blake of Washington; 16 grandchildren and 15 great-grandchildren; also several nieces and nephews. Family and friends will be received from 2 to 4 and 6 to 8 p.m. Wednesday in the FRANK F. GIGLER FUNERAL HOME Inc., Robert P. Karish Supr., 2877 Leechburg Road, Lower Burrell, PA 15068, where services with Pastor Thomas Dougal officiating, will be held at 11 a.m. Thursday. Burial, with full military honors by the Vandergrift Veterans Honor Guard, will follow in Greenwood Memorial Park in Lower Burrell. In lieu of flowers, memorial donations may be made to Meals on Wheels, 1009 Puckety Church Road, Lower Burrell, PA 15068.